Gain experience in sewing as we walk you through all the steps to making your very own personalized set of pajama or lounge pants. We will work with reading a pattern, cutting fabric, and all steps of construction - and you get to keep your custom-fit pattern! We will also make a personalized notebook cover and a sleep over bag! Other projects will be added if time permits. Please plan to come in beforehand so we can take your measurements and have your pattern prepared. $200 includes all fabrics and supplies for the projects. Build basic skills sewing and creating bags, accessories for fashion or for home, gifts and other fun projects while building life skills in sewing. In this Road Trip Themed Summer Camp students will make a Luggage Tag, Fabric Postcards, a Travel Bag, a travel wallet and more if time permits! $200 includes all fabrics for the projects. Build basic skills sewing and creating bags, accessories for fashion or for home, gifts and other fun projects while building life skills in sewing. In this Picnic themed Summer Sewing Camp we will be making a quilt for the picnic, a bag and a casserole carrier. Other projects will be added if time permits. $200 includes the fabrics and notions for the projects. Fabric and supplies are provided and included for each class. Please pack a tidy snack for your student and let us know of any allergies or special needs they may have so that we may provide a comfortable, safe, and fun learning environment! 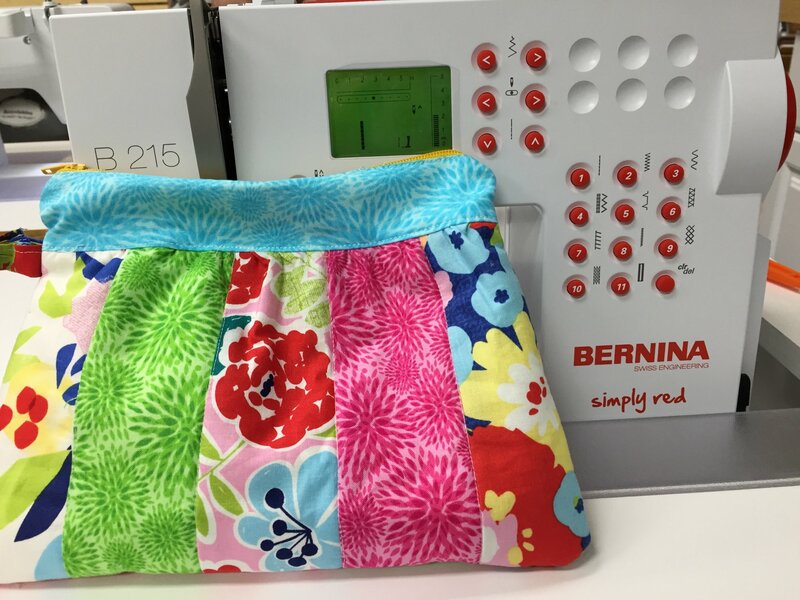 Students will use our classroom BERNINA sewing machines, and are not required to have a sewing machine at home. If you are interested in getting one, let us know and we have a perfect machine in mind for the beginning sewer!